Consumers are used to obtaining what they want at the touch of a button – or screen. Capacitive sensing detects finger presses on a glass or plastic surface. It measures the capacitive change that occurs on a metal plate or copper PCB tracking behind a non-metallic cover when touched by a finger. Offering a great solution where a traditional switch or button is not desirable, capacitive sensing allows more flexibility of design and an enhanced user experience. Heber was at the forefront of development of this technology with a cooker hob for Belling in 1990. For Belling, this delivered a smooth glass wipe clean surface for hob controls rather than dirt and grime grabbing dials and knobs. For their customers, this meant a state of the art design as well as a better cooking solution. The company has since applied the technique effectively across the gaming industry as well. 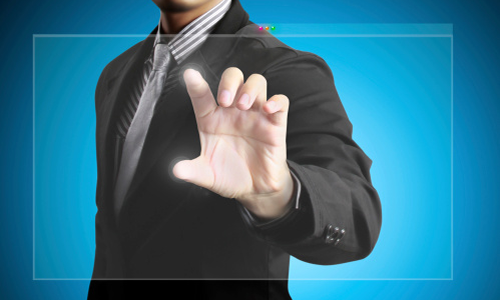 Consumers are becoming more accustomed to touch screen technology – it forms the basis for Smart phone touch screens. They are now demanding this type of technology across all areas of their lives including in the bathroom! Capacitive sensing poses many issues within a wet environment. Heber has worked for clients in the shower industry for many years and is applying the technology to product development in this market. Showers have knobs or push buttons to control temperature and water flow rates which can suffer from lime scale, be hard to clean and wear out causing leaks inside the control unit. Capacitive sensing allows thinner design, better styling and totally sealed, easy to wipe clean units. What has been Richard’s favourite capacitive sensing solution? A Christmas shop window! This was a real interactive solution for consumers. Events inside the shop window were triggered by pressing areas on the glass. Sensors had to work through 12mm plated glass. Due to the winter conditions, shoppers were wearing gloves which made the solution more technically complex. Heber used small sensors with long battery life that could make thousands of activations. The sensors had wireless links to the control system making objects in the window light up, move or burst into song via shoppers touching buttons placed on the window surface. For more information about capacitive sensing in a wet or dry environment, please contact richard.horne@heber.co.uk. Heber was able to design a new, bespoke board – Pluto 5 Integrated Video – exclusively for Casino Technology.